The Fourth Gastrological forum of Gastroenterologists' Syrian Society will be sponsored by Ibn Al Haytham Pharmaceutical Industries. 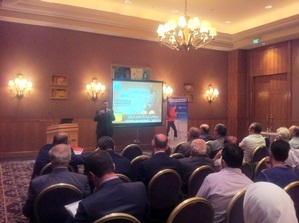 This forum will be held on 10 May 2012 at Four Season hotel in Damascus. It's worth mentioning that, Ibn Al Haytham Pharmaceutical Industries is considered to be the fastest growing company in terms of sales and its distinction comes from presenting high quality drugs in the Pharmaceutical Syrian Market.